PHUKET: A 41-year-old man was arrested at the Phuket Checkpoint last night attempting to smuggle 1,957 methamphetamine pills (ya bah) onto the island. 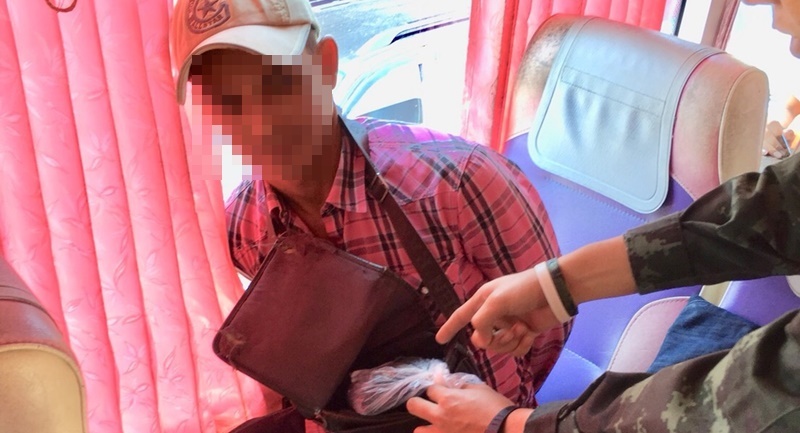 A team of Tha Chatchai Police led by Tha Chatchai Police Deputy Chief Lt Col Nikorn Chootong along with Maj Rattanawut Nookaew arrested Yuttana Ponsut, from Nakhon Sri Thammarat, at the Phuket Checkpoint during a routine search of a bus heading from Trang to Phuket. In making the arrest, police seized 1,957 ya bah pills that were found inside a blue plastic bag inside Yuttana’s bag. Yuttana was taken to the Tha Chatchai Police Station nearby to face legal action. Ahh good- Inspector K is on the case. I expect all the world's problems to be solved by the weekend! And with arresting this meth mule with less than 2000 pills, obviously signalled forward to please RTP, expext another much bigger drug mule passed by to provide coming Phuket weekend.